I'm proud to see one of my pictures selected as the new Nokia smartphone default background! You may have seen it in various places. There is an addition of another of my images in the catalog of the phones backgrounds. The mobilephone actually sold out in a minute in China! Here is a view of the phone and picture. 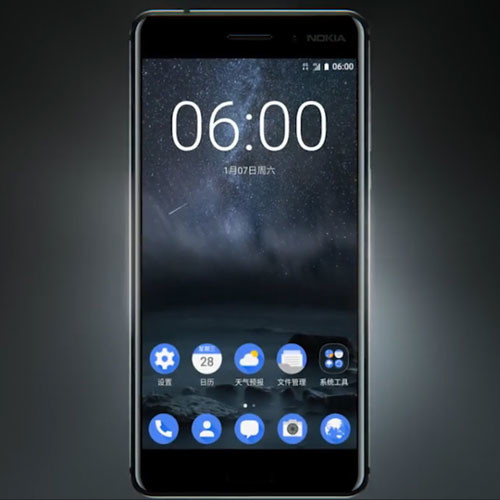 If you are interested of the phone you can see more information about the phone on Nokia's website: https://www.nokia.com/en_int/phones. Since I get a lot of questions about my photography gear and tools I use, I decided to create a new series of equipment. As many have said – gear doesn't matter! However, if you have decent gear, it can inspire and help you to create more! I look at gear as tools, when it works great it works with you and won't get in your visions way. When it doesn't work like you would want it to work it controls and limits your vision. Don't fell into the trap of more gear is better because it might not ease the process but rather confuse what to use. For the first part of the series, here is a list of my most used equipment. The set I carry 90% of the time with me every time I go out to photograph. You can view this whole set on Amazon Store. Nikon D810 & D800 — Why do I carry two camera bodies? Well because I tend to shoot long exposures. So when the other camera (usually D810) is taking for example 10 minute long exposure, I go and scout for the next landscape I want to capture or shoot a time-lapse with the D800. When I'm out photographing in the daytime, I keep the wide-angle lens on the D810 and a telephoto lens on the D800. This way if something interesting happens far away I can just grab the other camera and start shooting. Nikkor 14–24 mm f/2.8 G ED — This is my go-to lens, I use it 90% of the time on my D810. It's super sharp and excellent for star photography with the aperture of 2.8. View my full review of this lens here. Nikkor 16–35 mm f/4.0 VR — I bought this as my first full frame wide-angle lens back in December 2012 and used it to capture all of my landscape photographs. I still use this lens but most of the time handheld, because it has a great image stabilisation. It's not as sharp as the 14–24 mm lens, but it's already quite sharp wide open at f/4.0. After my interest in star photography, I wanted a wider lens with a larger aperture, so I bought the Samyang 14 mm f/2.8. Samyang 14 mm f/2.8 — This was my most used lens for astrophotography until I bought the 14–24 mm Nikkor. I still use this lens when I want to capture time-lapse at night with the D800 or when I'm scouting. Nikkor 50 mm f/1.4 G — I always have at least one faster lens in my camera back in case I want to shoot shallow depth of field or if I wish to capture any behind the scene footage. This lens is so small that I almost always prefer it over my Sigma ART lenses. Nikkor 70–300 mm f/5.6–6.3 VR — I don't use a telephoto lens too often. I first bought this lens for my first camera Nikon D90. It is a decent lens if you want to add some range to your camera. It is the next lens I will be replacing with the superb Nikkor 70–200 mm f/4.0 VR. Hähnel Giga T Pro II — This is my go-to remote controller for the Nikon D810. I use it to capture sharper images and when I need the extra range to take a self-portrait. What I like about is that you have a lot of options you can adjust. When used in cold temperature with gloves it's too small and hard to change the settings without taking the gloves off. Lee Filter System for Nikkor 14–24 mm — I always have these filters with me when I'm photographing sunrise/sunset or daylight. These filters are top quality yet pricey. Lens Cloths — I have at least three lens cloths with me every time I head out to photograph. When using filters, one cloth is simply not enough. These are needed if you shoot near open water or in high humidity. Lowepro ProTactic 450AW — I have used quite a few backpacks in my days as a photographer. The ProTactic from Lowepro is the best one I have ever tried and used. The build quality is superb. You can access your gear four different ways. It is very helpful when you have two camera bodies and a lot of lenses in the bag. The customizability of the straps and pockets is fantastic. I carry my Lee Filter pouch with all of my filters and a tripod in the straps behind the bag. The backpack also has two different small pockets in the front strap where you can put a headlamp and lens cloths, which is handy. PhotoPills — When I need to capture scenery using my "Vision of Depth" technique I use PhotoPills to calculate the exposure. It's also very handy when scouting a location! It's unfortunately only available for iPhones. Sirui R4203 L — I always have at least one tripod with me. I use my Sirui tripod most of the time I go out to photograph. I have a lighter tripod for my travels, but I still prefer the Sirui. Manfrotto MHXPRO–3WAY — I love this tripod head. It's so much quicker to adjust in cold temperatures than the Sirui K-40X which I also use. You don't need an L-bracket for your camera when changing from vertical to horizontal frames when using this Manfrotto 3-Way head. Which makes it quick and easy to find better composition and perspective. Manfrotto MT190CX PRO 4 — I bought this tripod for my travels because it's light and fits in my bigger bag. I would recommend getting these Retractable Rubber Spikes with it because there are no spikes in the tripod and these are really important when you photograph in snow or ice. That's it for the first part of my gear list. I hope you enjoyed reading. The next list will be for the scouting gear I use. Meanwhile subscribe to my newsletter to receive new tutorials and photo gear talk as soon as they are released fresh to your email. I will also make a list of my favorite accessories and tools I use when I edit my photographs, so stay tuned! I have now been using the Nikkor 14–24 mm f/2.8 G ED lens for the last month. As promised, here is an overview and review of the lens for the type of work I do. I have also included some photos taken with it in the daylight to show full-size unedited photographs. Nikkor 14–24 mm f/2.8 G ED ultra-wide-angle lens is made for Nikon full-frame cameras and if calculated, you would need a 9.2–16mm lens on a crop-sensor camera to replicate the angles of view that this 14-24 mm lens gives on FX cameras. The first thing you notice when you get your hands on the Nikkor 14–24 mm f/2.8 lens is the size and weight. The quality is excellent, in the hand it feels solid and extremely well build. Compared to the Samyang 14 mm f/2.8 - it's a monster. The Nikkor is almost two times bigger and the price tag is over three times more than the Samyang. The question is: Is it worth the size and price? And for a quick answer, yes! It is a top quality lens. Now of course you have to know what are you going to use it for. My primary usage is star photography and landscapes, and the Nikkor is a fantastic lens for both of these. With the lens, you get a case (Nikon CL-M3) to carry the lens. I occasionally use the case strapped to my Lowepro ProTactic 450AW camera bag if there is not enough space inside. There are no filter threads, so you have to use an external filter holder. In the image below I use a Lee filter system made for the Nikkor 14–24 mm. For star photography, I never use filters. My gear includes Nikon D810 and an MB-D12 Multi Power Battery Pack. The Nikkor 14–24 mm is perfectly balanced with the setup. For tripod, I use a Sirui R-4203L with a K-40X ball head. The autofocus is fast and works accurately in the situations I have used it. If you are primarily using the lens for star photography, you might want to learn when it is focused to infinity either manually or with the autofocus in vast landscapes. If there is a small light source in the scenery, the lens can focus to it in most of the cases. In pitch black situations, I recommend using the manual focus. Thanks to an AF-S drive (Silent Wave Motor) autofocus operations are fast and almost silent. I have used many different wide-angle lenses in my past, but with the full-frame camera I have used the Nikkor 16–35 mm f/4.0 VR, Samyang 14 mm f/2.8 and the Nikkor 14–24 mm f/2.8 G ED. Distortion is moderate when compared to the heavily distorted photographs taken with the Samyang 14 mm. The barrel distortion is really easy to fix in Lightroom with the correct lens profile for the Nikkor. The real advantage of the Nikon 14–24 mm f/2.8 against the Samyang is the sharpness of the images overall image quality. Against the Nikkor 16–35 mm f/4.0 the sharpness is better already wide open and the extra stop is essential when you photograph in low light situations. You can see a couple of example photographs taken with Nikon D810 and Nikkor 14–24 mm f/2.8. The images shot in RAW and exported with Lightroom CC: View the full-size gallery here. From corner to corner the sharpness is very good already from wide open. I used two different 14–24 mm f/2.8 lenses and I have also used two Samyang 14 mm f/2.8 lenses. The Samyang focus seems to change in different parts of the image. For example, if the corners of the image are correctly focused the center is not in focus. This is not the case with the Nikkor, once you nail the focus the whole image is razor sharp. I have gathered below some of my favorite photographs taken with the Nikkor 14–24 mm f/2.8 lens in the past month with the lens. If you are into star photography, make sure to check out my Star Photography Masterclass eBook. Under The Stars - Nikon D810 & Nikkor 14–24 mm f/2.8 - ISO 6400, 14 mm, f/2.8, 30 sec. Fog & Stars II - Nikon D810 & Nikkor 14–24 mm f/2.8 G ED - ISO 6400, 14 mm, f/2.8, 30 sec. Koli at Night - Nikon D810 & Nikkor 14–24 mm f/2.8 - ISO 8000, 15 mm, f/2.8, 30 sec. Glow - Nikon D810 & Nikkor 14–24 mm f/2.8 - ISO 6400, 14 mm, f/2.8, 30 sec. Searching For Horizon - Nikon D810 & Nikkor 14–24 mm f/2.8, ISO 6400, 14 mm, f/2.8, 30 sec. Stillness of Night - Nikon D810 & Nikkor 14–24 mm f/2.8 - ISO 6400, 14 mm, f/2.8, 30 sec. & ISO 800, 630 sec. Star Reflection - Nikon D810 & Nikkor 14–24 mm f/2.8 - ISO 3200, 14 mm, f/2.8, 30 sec. Road To Aurora - Nikon D810 & Nikkor 14–24 mm f/2.8 - ISO 3200, 14 mm, f/3.2, 15 sec. Pier to Nowhere - Nikon D810 & Nikkor 14–24 mm f/2.8 - ISO 100, 14 mm, f/10, 200 sec. Darkness - Nikon D810 & Nikkor 14–24 mm f/2.8 G ED - ISO 100, 24 mm, f/5.6, 400 sec. Long Sunset - Nikon D810 & Nikkor 14–24 mm f/2.8, ISO 64, 14 mm, f/11, 310 sec. If you are looking for an extreme wide angle lens for a full-frame camera and you do not mind the weight factor, then this is an excellent lens for you. If you are into landscape and star photography I highly recommend the Nikkor 14–24 mm f/2.8. I already see using it 90% of the time on my Nikon D810.